Bringing a family member in for an operation is never easy, regardless of whether they happen to have two legs or four. At Lainer Animal Hospital we want you to know we understand what you’re going through. That’s because we’re pet owners too. Each member of our team has experienced the uneasiness of surgery with our own animal companions. That’s why we go out of our way to ensure that every procedure performed in our clinic is as stress-free as possible. Your loved one will be in excellent hands with us. Our process begins with thorough preoperative screening. This helps us to uncover and prepare for potential concerns so we can reduce the risk of complications for your pet. We will also develop a strategy for keeping your companion comfortable and pain-free — before, during and following surgery. We use the safest, most effective pain control medication and customize our approach to each individual patient. Regardless of whether it’s a routine spay or neuter, or a more complex procedure, your pet’s surgery will be our highest priority. 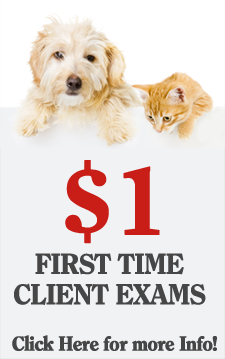 From the moment you arrive, we will be there to ease your mind and help keep your pet calm and relaxed. Any last-minute questions on your mind will be answered as we get your loved one settled in and prepared for surgery. State-of-the-art equipment ensures your pet goes into and comes out of surgery as healthy and pain-free as possible. As the doctor works, our skilled care team will be present at all times, assisting with surgery and closely monitoring your pet’s wellbeing. Our modern surgical suite is outfitted with modern monitoring equipment which helps us track your companion’s vital signs and pain levels. Pet surgery doesn’t have to be a source of anxiety when you’ve got the right team in your corner. Contact us today and let’s discuss how the experienced team at Lainer Animal Hospital can help with all of your companion’s surgical care needs.